The Spey engined Phantom did stellar service for both the RAF and Royal Navy. Airfix finally released a new kit of the FG.1 version and while it is missing a few details, it builds into a neat model. 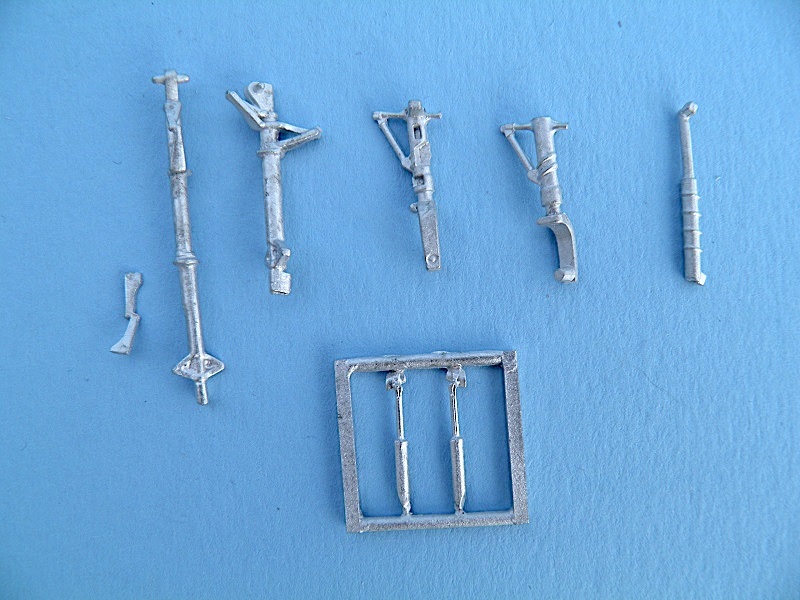 Once again Scale Aircraft Conversions has released a new set of landing gear specifically for the Airfix kit. The Airfix kit gives multiple options for the landing gear as the British naval Phantom had an extended nose gear to help it get airborne off of the smaller decked British carriers. Airfix's design breaks the nose gear into two parts. Normally SAC does direct replacements for the landing gear based on the kit parts but in this set they cast the nose gear so it is one main piece. The extended gear will need the scissor added which might be a bit tricky. This should make for a stronger option. As usual there are no instructions included but their website does have a nice section on how to use white metal and mentions there is no lead included in the metal. Thanks to Scale Aircraft Conversions and IPMS/USA for the review kit. Submitted by Michael McMurtrey (not verified) on Wed, 2018-10-31 11:10. But what about the ballast?